The Scope of Work for any given project will vary depending on the specific requirements of that job, but here are detailed descriptions of procedures that are typical in the majority of our painting projects. Exposed exterior stucco surfaces that have peeling and de-laminated coating will be tooled by hand or power method to achieve a sound surface before primer/sealer) is applied. Apply one (1) coat of masonry conditioner by brush and/or roller wherever chalking has occurred. 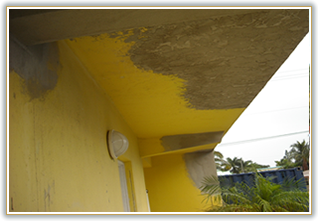 Apply sealer to penetrate old paint, emulsifying and bonding it to the existing exposed exterior stucco. 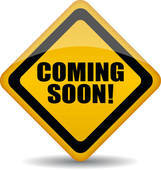 We will follow the manufacturer's recommendations for application of sealer for warranty. Detail hairline cracks of less than 1/16" with patching compound. Cracks will be bridged approximately 1/16" to allow for thermal movement. Remove loose or spalling stucco adjacent to crack. Cracks greater than 1/16" (25 l.f./project) are to be routed open to form a "U" or "V" channel, dusted clean and caulked. We will allow sealant to tack-cure and apply a detailed coat of Elastomeric patching compound (textured or smooth, as appropriate) over the repair. The cracks will be bridged approximately two (2") inches on both sides and center-crowned directly over crack, approximately 1/16", to allow for thermal movement. (Backer rod will be installed in cracks greater than 5/8"). After removal of loose paint, surfaces are patched with Elastomeric textured patching compound to achieve a uniform surface. Rust spots on stucco will be chipped out and properly patched. Remove deteriorated caulk with a putty knife or power method and clean surface. Seal area with surface conditioner. Apply new caulk with polyurethane sealant. Bead will be tooled to insure proper adhesion and aesthetic appearance. 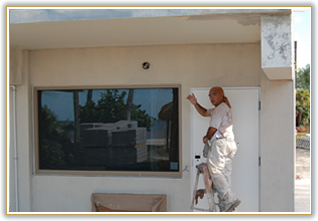 Application of sealant between stucco joints to metal window frames, windowsills, door jambs, stairways and ceilings to walls, around pipes, around top and sides of decorative bands and light fixtures and at 90 degree corners. 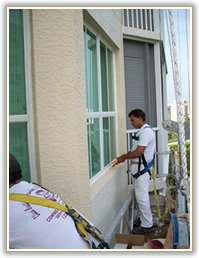 Repair stucco that has deteriorated or lost adhesion. Delaminated stucco will be removed. Mechanically remove rust from exposed rebar or metal corner bead. Back prime with two (2) coats, cement-based, polymer-modified, anti-corrosion coating for steel reinforcement. Surface will be cleaned and link bonded. Repair stucco to match existing texture as closely as possible. Repair concrete slab edge on a time and materials basis. Remove existing rusted corner bead. Surface will be cleaned, link bonded and new PVC corner bead will be applied. Repair stucco using a Portland cement mixture one (1) coat smooth and one (1) coat textured, to match existing as closely as possible. Apply high-build waterproof coating by brush and roller to exterior vertical stucco surfaces, elevator shaft, stairway tower, rear and 2 sides of building. Follow the manufacturer's recommendation for application. Apply exterior latex satin house and trim paint on all sides by brush and roller to exterior horizontal stucco surfaces and remaining vertical stucco surfaces. Apply one (1) coat of exterior latex satin house and trim paint by brush and roller to exterior stucco surfaces, following the manufacturer's recommendations for application. (Includes walls, ceilings, decorative bands, slab edge, gables, soffit, parapet walls on roof, roof dividers and stairway tower room. Scrape loose paint with putty knife or electric wire wheel. Spot prime exposed exterior wood with wood primer. Apply of a finish coat of exterior latex satin house or semi-gloss and trim paint. Scrape loose paint from exterior metal. Remove rust spots with an electric wire wheel and clean with Metal Treatment. Spot prime exterior bare metal with Primer or Macropoxy High Solids Epoxy. Apply a finish coat of Enamel or DTM acrylic coating and trim paint. Note: Before finish coat is applied, we will perform a test to determine the suitability of the product to be used.